Module 1 will teach you the steps to establish an internal audit function, the phases of a complete audit cycle, the methods for documenting and evaluating internal controls and various approaches for reporting audit results. The second module gives you the tools to audit information systems at your organization and ensure the effectiveness of organization and management controls, system security administration and access controls, disaster recovery plans and the controls governing the relationship with service bureaus. Module 3 discusses the different uses for audit workpapers and how to accurately document and file workpapers and develop a risk-based annual audit plan. The fourth module will provide internal auditors with the tools needed to ensure that the necessary policies, procedures, processes and controls at your organization are in place to detect and prevent fraud. 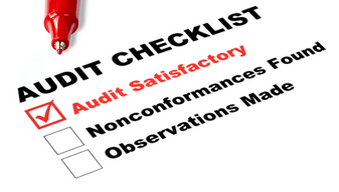 The goal of this four-module e-learning program is to teach you about the fundamentals of auditing. To help meet that goal, the courses in this program contain activities to confirm you clearly understand material discussed previously in the module, ask you to reflect on a situation or issue and respond to it based on your personal experience and knowledge and simulate audit activities using the resources provided. Throughout the course you'll also find a number of resources you can save, print, and keep. Some of these resources will be used to complete course activities and some of them are simply there to make your life easier. We want you to walk away from this program well-equipped to implement your new knowledge. Each module has a final exam, which is intended to help you gauge your understanding of the material in the course. You will find instructions for taking the exam at the end of each module.